ELR-0728-BL Color: Blue Features: -Storage bins not included. -Age Level: All. Product Type: -Book display. Compartments Included: -Yes. Number of Compartments: -3. Dimensions: -Cubbie: 12'' H x 14.75'' W x 15'' D. Overall Height - Top to Bottom: -32". Overall Width - Side to Side: -48". Overall Depth - Front to Back: -15". Shelf Depth - Front to Back: -3". 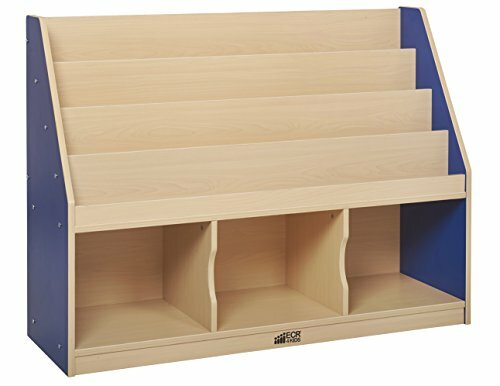 Gift Mark Corner Unit Bookcase, Espresso, 36"
Gift Mark Corner Unit Bookcase, Cherry, 36"